Cat Power’s personal life — her admitted alcoholism, her erratic live shows — is a favorite topic of discussion such that it often threatens to overshadow talk of her brilliant music. 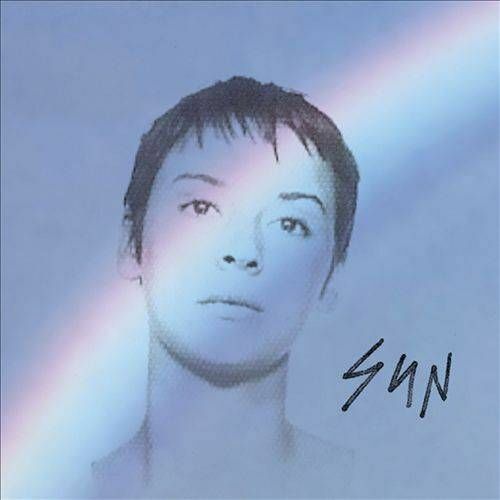 Perhaps in an effort to curb that, Chan Marshall has created her least intimate, most globally accessible album with Sun. Marshall produced and performed almost everything on the album herself, but in lieu of the sort of austerity of an album like Moon Pix, we get a dark synth-pop record, spurred by Marshall’s desire to make something unlike anything she had done before. However, underneath the synths that spiral around the title track, for instance, this is still very much a Cat Power record — worry not, fans. In fact, the beginning of opener “Cherokee” begins in what sounds fairly typical for Cat Power — a simple, repeating guitar line, light piano touches and a steady beat — but it becomes clear that this is new territory as Marshall comes in with distorted, direct lyrics: “Never knew love like this.” However pop-oriented the song, with a beautiful synth melody making it sound a bit like ’80s Fleetwood Mac, Marshall’s meanings are still obscured: “Marry me to the sky … bury me upside down.” First single “Ruin” is similarly grabbing, but ultimately strange, unique; its piano lines and disco bassline dance up and down a bouncing beat while Marshall sings about various global locales like an indie rock “Kokomo,” but she’s singing about poverty, not vacation or the awesomeness of getting to travel while touring. It’s fun to hear her go pop-rock on “3,6,9,” which bounces along with chanted choruses and even sees Marshall take on the ubiquitous vocoder. Marshall can’t help but become increasingly personal as the album progresses, as live drums interrupt the digital beats of “Manhattan,” which glitters with heartfelt searching; “Silent Machine” returns to the bluesiness of her last few releases, but also has a startling computerized breakdown halfway through; and “Nothin But Time,” a duet with Iggy Pop, makes for the most beautiful, 10-minute Kraftwerkian ballad you’ll hear anywhere. The rock guitars and hip-hop delivery of “Peace and Love,” which closes the album, show Marshall is willing to go just about anywhere with her music if it provides new inspiration for her stirring voice and incisive lyrics; thankfully, on Sun, it nearly always does.